So the Lilac was quite popular this Spring. I had various types of nature visiting including myself to smell the wonderful fragrance it was giving. Lilacs last too short of a time. 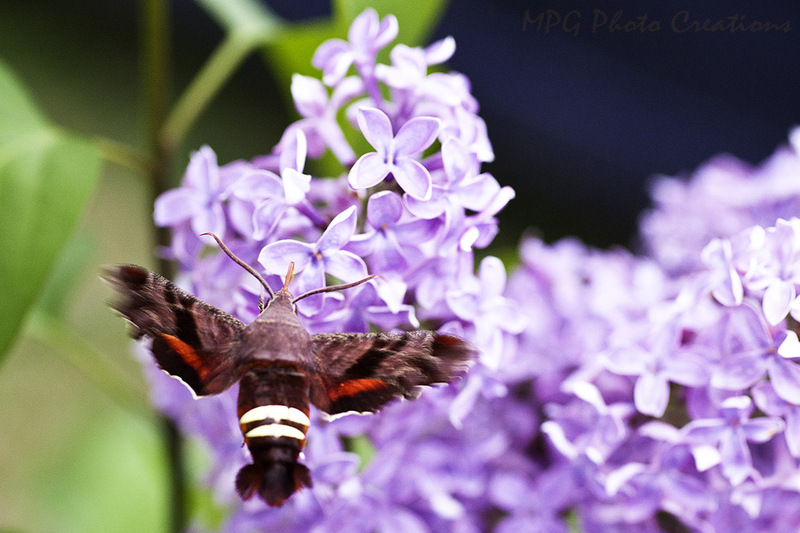 I usually don't see these guys till during the summer but this Hummingbird Moth was busily enjoying the blooms which is why he's a bit blurred, I captured it in flight.